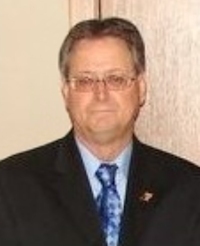 Obituary – Fechner, Rodney Neil « Perry High School Alumni Association, Inc.
Rodney Neil Fechner, 59, of Bethany, OK, passed away on January 18, 2011, joining that great cloud of witnesses cheering us forward as we run life’s race with Jesus. He was born June 2, 1951, in Oklahoma City, OK, to parents, John and Eunice Fechner. 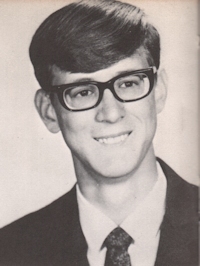 He graduated from Bethany Nazarene College in 1974, with a B.S. in Political Science and completed 18 hours of graduate work in Public Administration at the University of Oklahoma. He married Gloria Jarmon on March 18, 1978; their union was blessed by three children. He worked for Federal Express for 33 years as a Courier and Customer Service Agent. He was passionate about his hobbies, being an avid fisherman, as well as pursuing coin collecting and astronomy; he was passionate about his faith and was a member of the Lakewood Church in Houston, TX, and a faithful supporter of Benny Hinn Ministries; and he was passionate about his family – a proud father and grandfather. He is survived by Gloria, of Houston, TX; three children: Kevin Fechner, of Houston,TX; Kristen Franks, and husband, Justin, of Houston, TX; Matthew Fechner, and wife, Bridget, of San Clemente, CA; by two grandchildren, Brooke and Aiden; by mother, Eunice, of Bethany, OK; by four siblings: John Fechner, Jr., and wife, Pat, of Cushing, OK; Kenneth Fechner, of Bethany, OK; Gaylene Hill, of Broomfield, CO; and Susan Acre and husband, Darrik, of Piedmont, OK; and by a host of aunts, uncles, cousins, nieces and nephews. He was preceded in death by his father, John; and one sister, Carolyn Jo. Viewing will be Chapel Hill Memorial Gardens, 8701 NW Expressway, Oklahoma City, OK, on Saturday, January 22, with the family receiving visitors from 10:00 am – Noon. The funeral service will be Saturday, January 22, 2011, 2:00 pm, at Chapel Hill Memorial Gardens, 8701 NW Expressway, Oklahoma City, OK. Interment will follow at the same location.